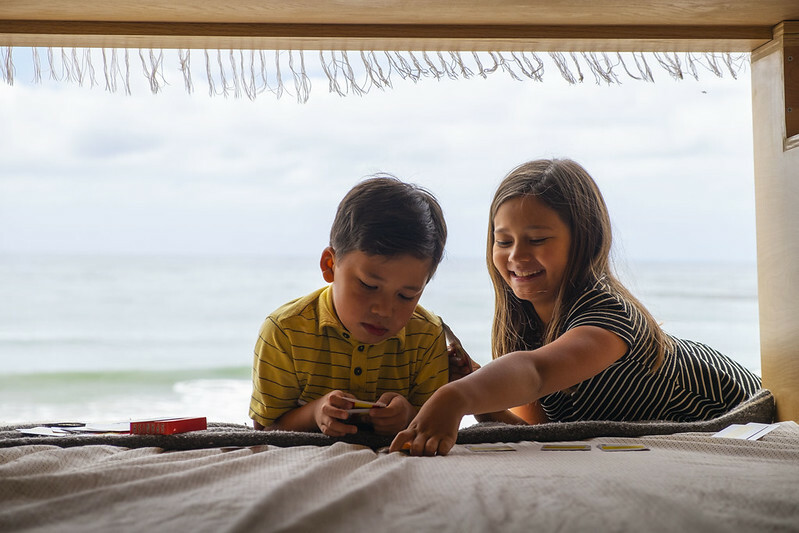 Mali Mish – Beach day and brushing up on our Spanish with Lingo Cards. 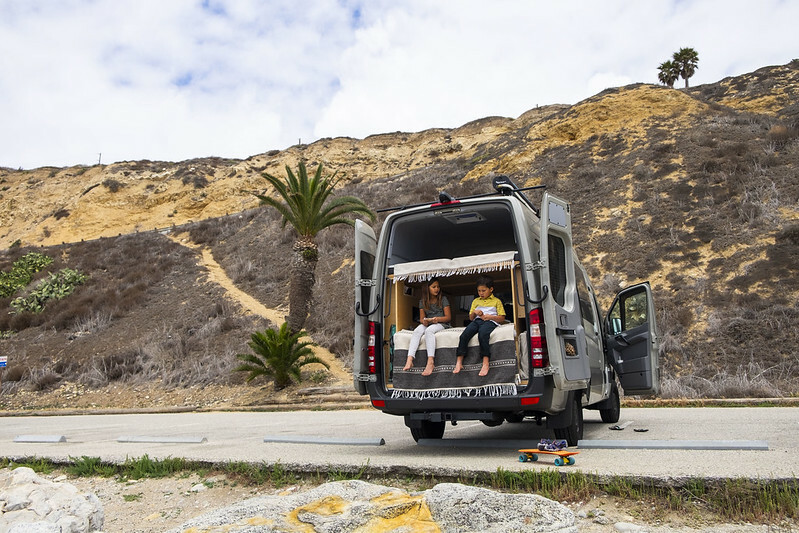 Our Sprinter van has brought that luxury back once again. In fact this time, it is even better because we are able to fit into just a parking space at the beach. Also the doors open all the way up to the top so all of us can relax and enjoy the nice sea breezes. With all of these transitions and changes lately, we are quickly losing the Spanish chops we worked hard to earn in these last couple of years. Fortunately we came across this great little company out of Australia called Lingo Cards. 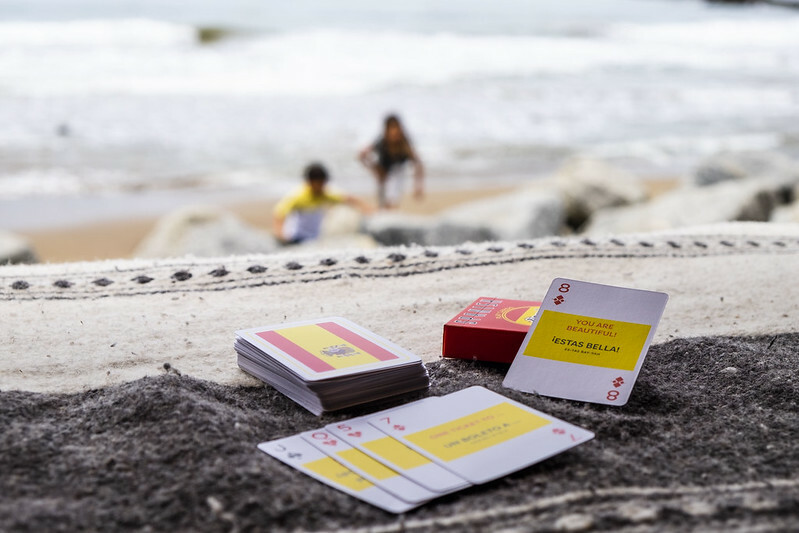 They make several versions of your typical playing cards that you can use to play all of your favorite games but more than just suits, colors and numbers, each card comes printed with a nifty and useful foreign language phrase in the language of your choice. These cards aren’t gonna make you suddenly speak like a local but they are a great way to refresh some of those commonly used phrases. It is really surprising how much of my Spanish came rushing right back just by flipping through the deck. 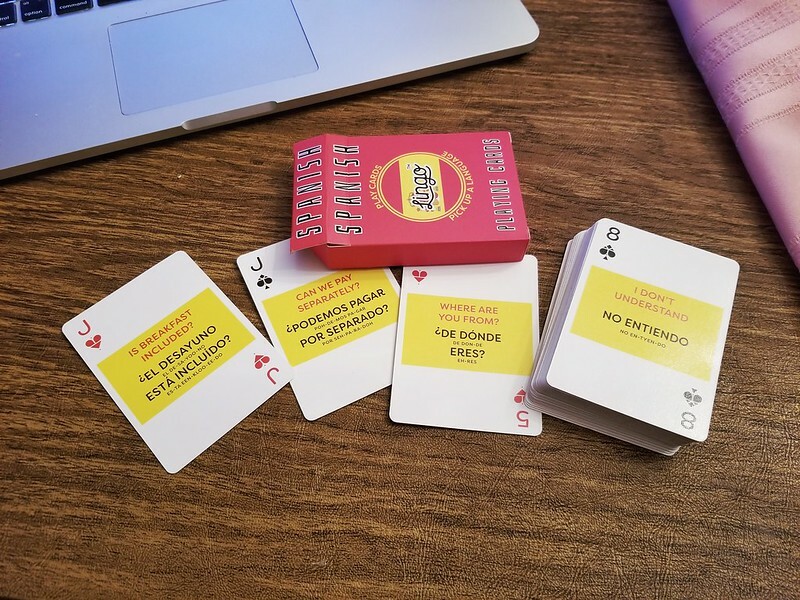 They cost a few bucks more than your typical run-of-the-mill decks of cards but the benefit of not losing my hard earned Spanish es muy apreciado. Besides Spanish, you can also get cards in French, Italian and Japanese with many more languages to come in the future. Click this affiliate link to see them on Amazon. These little ones have no idea this game of war is secretly a part of their school for the day. And it’s the weekend! I heartily declare that our beach trial with the van was a big success and we are looking forward to lots more of this in our future. One Response to Beach day and brushing up on our Spanish with Lingo Cards. …..I somehow stumbled across you guys on IG a while back, and since stepping away from social media for a bit i decided to hop on your blog and learn more about how you have navigated thru these road bound adventures over the years. Simply wonderful. Kindred spirits as the desire to explore and experience is strong in this household as well, and y’all have inspired me in so many ways. 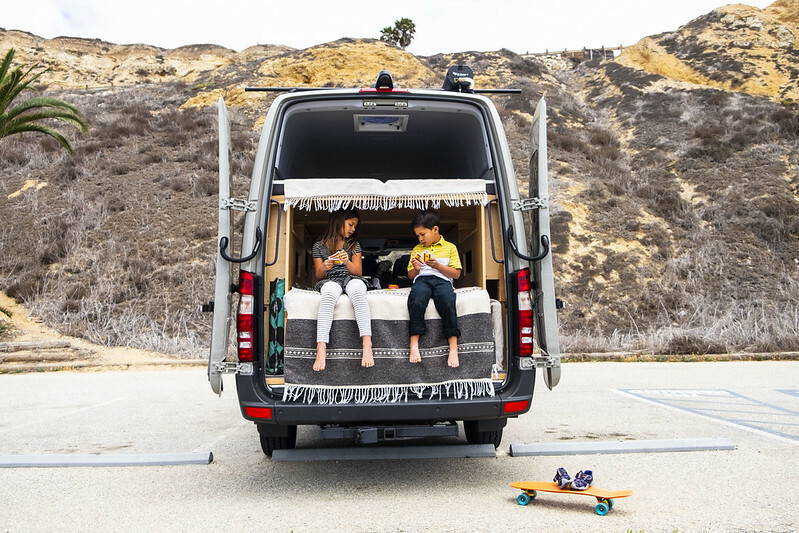 May this next adventure be as incredible as the ones in the past, I cannot wait to see what you venture on in that sweet new home on wheels 🙂 Hopefully someday paths will cross! you guys rock!